The Ziegler mount is a best quality German made scope mount featuring instant removal of the scope but with no loss of zero guaranteed. Using this mount you can have multiple scopes mounted and zeroed on the same rifle ready to use at a moment's notice. Tried and Tested with ranges up to 1300 meters by Special Forces, with 100% accuracy irrespective of how many times the telescopic sight is mounted and dismounted. The Scope Keeps Zero. 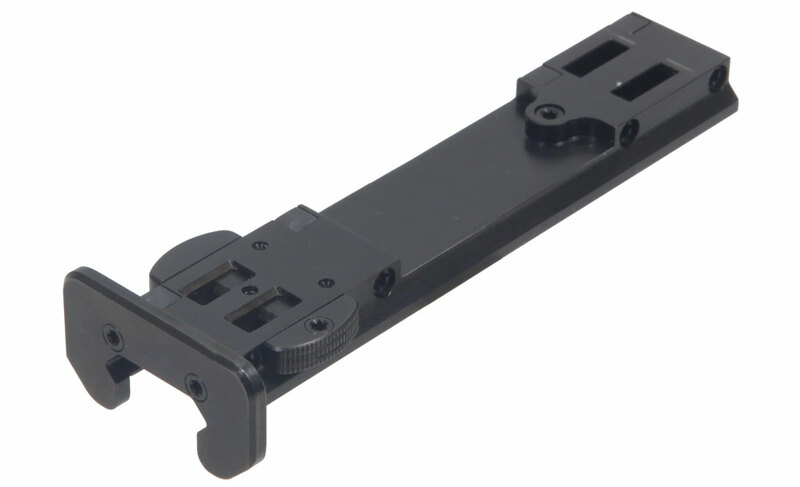 The Ziegler Picatinny Mount will mount on to any picatinny rail and provides a platform to then allow the Ziegler ZP Claw Mounts to be fitted. Tested at 1300m by Special Forces with Guaranteed Repeatable Zero. See More Information and a video on this stunning piece of hardware. The popularity of using Night Vision is ever increasing, so the Ziegler ZP Mounting system offers an ideal solution when you want to mount two scopes on to one rifle - With No Loss of Zero. See our examples in the Ziegler Mounting Gallery. See the system on various rifles, all using the Ziegler ZP Claw Mount system. The Ziegler ZP Mounting system can be fitted at home. There are easy to follow instructions in the form of a PDF available here. Or you can watch our Installation Video where we show you the process of fitting the mounts from start to finish. 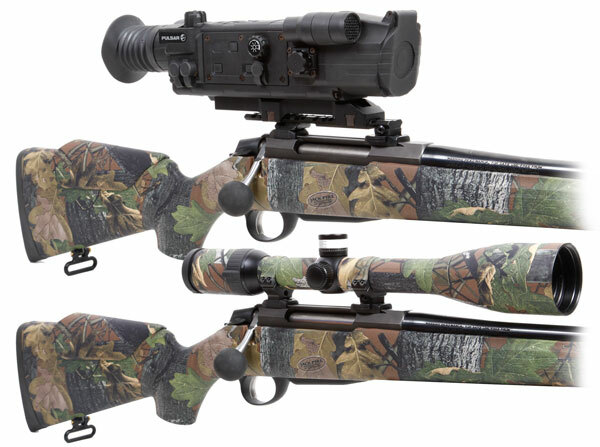 A new line of scope mounts for Blaser R93 and R8 have been released from Ziegler. The sleek looking design makes the mount stand out from the crowd. With a range of different models, Ziegler have covered pretty much every mounting application. The new Blaser Mounts include, Rings, Picatinny Rail, Zeiss Rail, Swarovski Rail, Aimpoint, Docter Sight/Zeiss Compact Point. Find Out More Information. 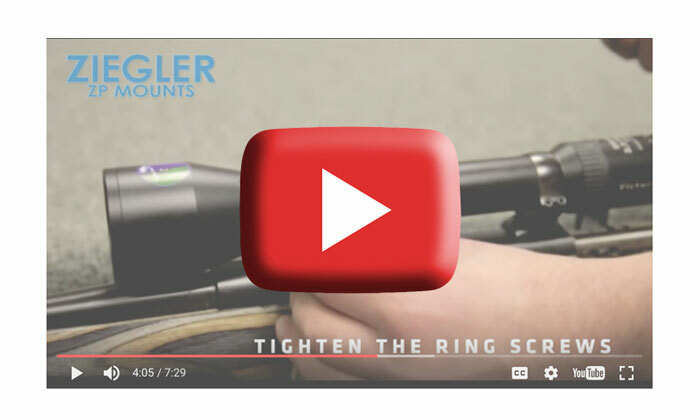 The Ziegler ZP Mounting system is available for a wide range of different rifle manufacturers and models, plus the option of custom fitting is also a possibility. See the list of Available Models of the Ziegler ZP Mounts here.